Well done to Richard Smedley who has won my spare – but pristine! 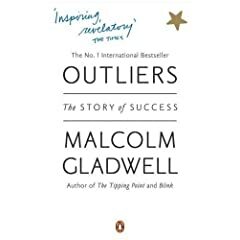 – copy of Malcolm Gladwell’s Outliers in the first and perhaps last competition to be held here on DavePress. Linked data, swings and roundabouts « Policy and Performance – "We know that local government needs to have better access to data and needs to use it better. But perhaps key to making this happen is to look to ourselves first and begin to share data and make it accessible within the sector, with partners and most importantly to the public." Help Give Them a Voice – Nice wordpress site from DoH and DCSF promoting social work careers. Google Groups Integrates with Google’s Web Apps – "Google Groups is one of the services that would benefit a lot from an integration with Google Calendar, Google Docs, Google Sites and other Google apps. It makes sense to create a document and to collaborate with other group members or to create a calendar and share it with your group." FutureGov » Features Uncategorized » What social technologies mean for public services – "Increasingly, the state is being seen as a facilitator, cheerleader and champion, rather than commander-in-chief; government as a convenor of interests, just one (albeit important) player in a patchwork quilt of public service delivery." LocalGovCamb is the latest regional LocalGovCamp to be arranged. I’m helping put this together with Michele Ide-Smith. There are hardly any details, really. December this year or January 2010. Somewhere in Cambridge. Theme will be local government innovation. While the event is obviously targetted at authorities close by to Cambridge, there is no resason why folk from further afar shouldn’t attend. Visit and bookmark http://localgovcamb.com and keep abreast of the latest information. You can also submit your interest in the event. There is a lot of discussion about social media policies, especially in government. People want documents to set out how staff can and should use social networks and other websites to engage with citizens and groups, and what the protocol should be when staff comment on blogs or forums in an ‘official’ capacity. The obvious starting point for this stuff is the online participation guidance for civil servants. These are the high level pointers that Tom Watson requested be developed when he was Minister for Digital Engagement. These guidelines should, I think, form the basis of any social media policy. Most organisations will, I think, probably want to refine them a bit, however. Another good place to start for anyone developing this kind of policy would be Carl Haggerty’s blog, where he has kindly shared the document he is developing for his local authority. If you need even more inspiration, then check out this post from Laurel Papworth, linking to loads of different examples of enterprise level social media policies. Thanks to Steve Dale for pointing out the link. Learning Pool are running a free breakfast meeting for local authorities in the East and West Midlands. This meeting will give you the chance to see and hear what your neighboring local authorities are doing with E-Learning, hear how you can create efficiency savings using e-learning as well as give you an opportunity to share your own thoughts and ideas. It takes place in Ripley, Derbyshire on 3 September between 9.30 and 12.30. You can find out more and book yourself a place by visiting the Learning Pool website. You’d be daft to miss it. To talk about how local government can use Google tools. Though this isn’t an official Google space, it will have Google folk as members who will be able to join in where they feel they can help. “In a sense”, because I already own it. If you want the book, all you have to do is comment on this post. Put what you like in the body of the comment, all I really need is your name and email address. Mossychops will then pick a winner at random next Friday (21st August). The second Wednesday guest post! Thanks to Sarah for this great post – if you’d like to contribute, just email me – and being called Sarah isn’t necessarily a requirement! Online communication isn’t always taken seriously. It’s a nice to have on top of offline work or something organisations have been told to do. It isn’t necessarily considered a channel in its own right. And those that work online aren’t always respected in terms of their skills, their knowledge or the value they can bring. Convincing others of your worth within an organisation is sometimes a bigger hurdle than convincing them of the value of online communications. So, how to go about raising your profile and getting social media offerings to the table? I’ve worked up a list of five approaches. This list isn’t exhaustive. I’d like to hear people argue against or add their own take and experience. Fall in love with online but don’t be blind to limitations and suitability. Talk to anyone who will listen about the possibilities but respect their concerns. Be able to explain why you are passionate about online – have examples of where social media has helped improve life, improved efficiency (internally or for citizens) or has saved money (pick according to your audience). Be savvy and believe in what you’re trying to get others to see the value of. And while being a geek is something to be cherished try to remember than social media is about being social so get out there and talk! You may be the only person that believes that online communication, social media and digital engagement has an important part in your organisation. This can lead to frustration, doubts about your sanity and a relentless need to persuade others to listen to your suggestions. A good way to get people to listen to you is to listen to them – why don’t they value / understand / like online? Once you understand where they are coming from you can work out how best to showcase options to them. They still might not be sold but at the very least they will be more aware of what social media is (and probably think you’re a decent, reasonable sort as well). Things move slowly in the public sector, and social media is developing fast. Be the middle ground between the need to develop strategy, policy, protocol and being left behind because by the time you get to the dock that particular online ship has sailed. Just because the answer is no today doesn’t mean the answer will be no tomorrow. Keep making suggestions, keep listening to the concerns around the use of social media, keep trying out ideas. Just keep on keeping on. If you believe you could lose your customers to a competitor you’ll try harder to be the first with innovation and the best with services. We’re all citizens as well as public sector employees so what use of social media would make your personal dealings with the council easier? What would your neighbour, your mum, your friends find more useful. In the private sector you need to get the edge on your competitors and by having this attitude in the public sector you’ll get closer to delivering above and beyond what is expected and be able to prove why what you’re doing is of value to the organisation. Alright, that’s not one but three things. I really mean knowing what you’re talking about. Being passionate and persuasive will come more naturally if you use and know social media. The Internet is a playground so don’t be afraid to try out new platforms and ideas. Get to know other people in the sector and find out what they’re doing, share your ideas and experience with them. Collectively we can be more innovative and efficient than working in silos. And gather your evidence. Know how many people are online and using social media, know the demographics of different platforms, know how far you reach with online communications, know what your citizens think of what you’re doing. Know which tool to use for which job. So, what do others think? Anyone used a different approach or mix in order to get word out about what they can do for the organisation with social media? Sarah Lay blogs at www.sarahlay.com, works in online communications for Derbyshire County Council (who don’t necessarily share her views) and is studying for a Masters in eCommunications, concentrating on local government use of social media. She is also the organiser of the first social media cafe for Derby and Derbyshire. If you live or work in the area and are interested in online communications and social media come along to meet others – find out more and join the group.